Food Wars! 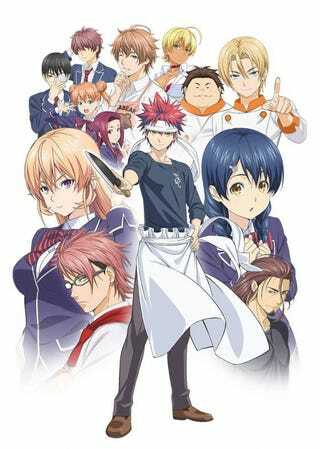 Shokugeki no soma will have a Second Season! And i can hear the rejoice coming from a lot of our readers! on the cover of the newest Magazine of Shueisha´s Weekly SHonen Jump it has been revealed that there will be a second season for the Anime adaptation of Food Wars! Shokugeki no Soma. More details will come on future issues. Buts as of right now everyone can be happy! The manga centers on Sōma, who works with his dad at his family’s restaurant. His dad is a culinary master, and he often hosts cooking battles with his father. His father then enrolls him in an elite culinary school that is very difficult to enter, and the graduation rate is only about 10 percent.